The Pueblo of Isleta Administration Branch consists of the Governor, First and Second Lieutenant Governors, Sheriff and Under Sheriff, Secretary and Treasurer. 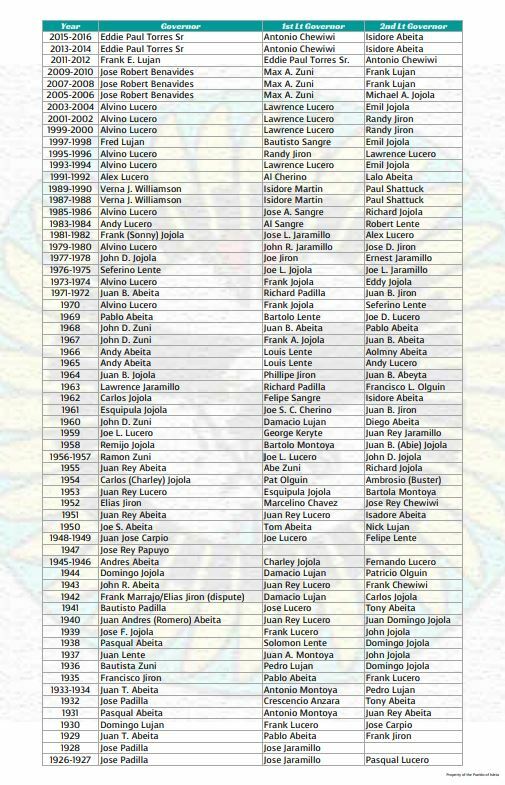 The Governor is elected only from the membership of the Pueblo of Isleta and serve for a period of two (2) years by popular vote of registered Tribal Members. The positions of Lieutenants, Sheriffs, Treasury, and Secretary are appointed by the newly elected Governor. Power is vested in the Pueblo Governor by the people of Isleta. 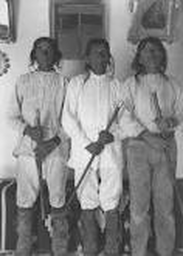 The Governor is responsible for the execution of laws of the Pueblo of Isleta, establishment of Tribal Policy and delegation of authority as necessary. 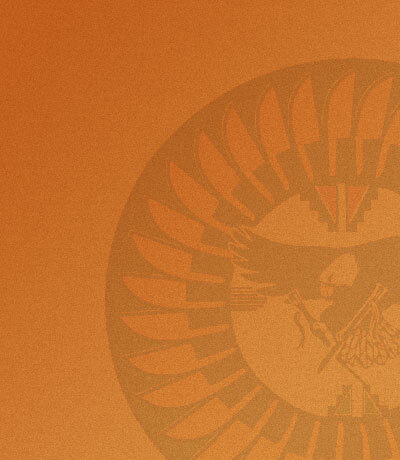 Day-to-day operations of all programs and enterprises are administered by the Isleta Pueblo Tribal Government.